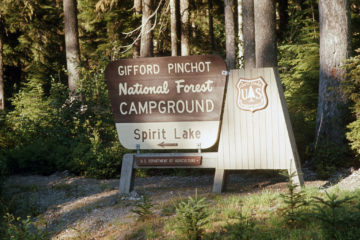 The South Gifford Pinchot Collaborative (SGPC) was selected by the Washington State Department of Natural Resources (DNR) to receive funding from their new forest health grant programs to help organizations conduct landscape-scale forest restoration and management. The group was awarded $375,100 through the All Lands Forest Restoration Grant Program and $25,000 through the Building Forest Partnerships Grant Program. SGPC was one of nine forest collaboratives selected and received the second largest award. This funding supports expanded collaborative engagement with DNR and the U.S. Forest Service (USFS) on projects that benefit both forest health and local communities. Through the Building Forest Partnerships funding, the SGPC will continue to work with the USFS Mt. 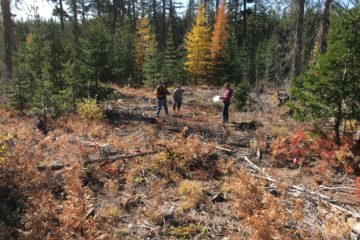 Adams Ranger District, DNR, and others to aide and facilitate the development of an “all-hands, all-lands” vegetation treatment program consistent with the DNR’s 20-Year Forest Health Strategic Plan. 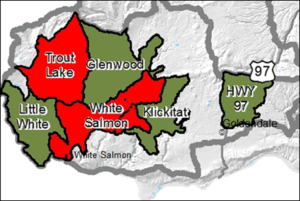 The program focuses on the Trout Lake, White Salmon, and Little White planning areas in the South Mt. Adams region. In addition, this grant has enabled the group to complete a blueprint of agreement for future planning recommendations to advance the pace and scale of forest management work, as well as provide guidance for a new case study looking at the economic contributions of stewardship contracting. All Lands Forest Restoration Funding will be administered by Mt. Adams Resource Stewards (MARS), a local nonprofit and collaborative member. The investment will support MARS’s use of field crews and contractors to conduct fuel break maintenance and expansion along Forest Road 82, and in preparing 250 acres for a controlled burn to be led by USFS staff in the Gotchen area. Cascade Forest Conservancy, also a member of SGPC, will lead volunteer crews to complete some hand work in support of controlled burn preparation. Overall, this project was deemed a priority for protecting resources and communities from future wildfire events. 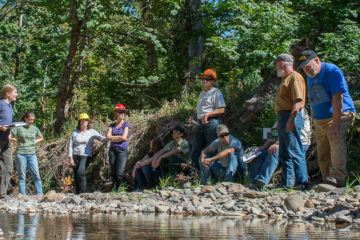 This need was identified in the Upper White Salmon Forest Restoration and Resilience Project Environmental Analysis which the collaborative has been involved with since the planning process began over four years ago. The grant will accelerate implementation of Forest Service plans for the area by at least 5 years, while benefiting the local workforce and communities as the project expands to treat over 1,200 acres of forest. High priority planning areas in the South Mt. Adams region identified in DNR’s 20-Year Forest Health Strategic Plan. Check out the Washington Forest Collaboratives Network website for a recent article about the SGPC Temporary Roads Monitoring Pilot Project.